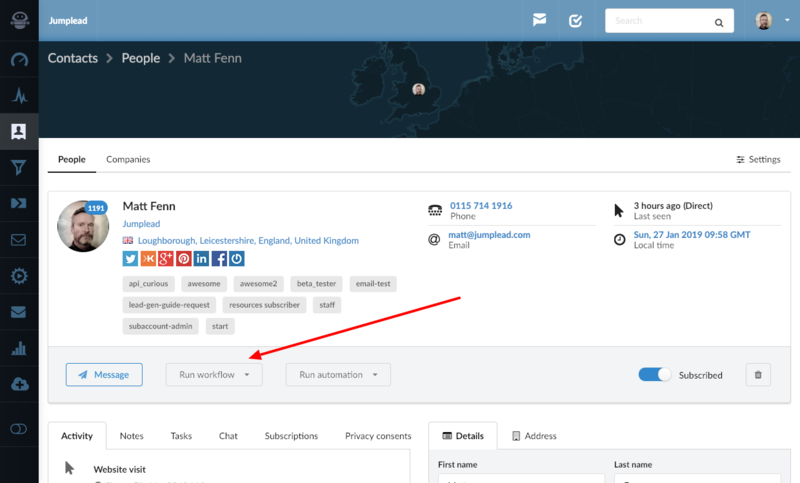 You can run your Automation Workflows on individual contacts, this is useful for enrolling your contact into a Workflow email autoresponder sequence. Choose the Contact you would like to trigger an Automation for. Click the 'Run workflow' dropdown button and select the Workflow you would like to enrol the contact in.